Priyanka Chopra and Nick Jonas met last year during the Met Gala as they both walked for Ralph Lauren. 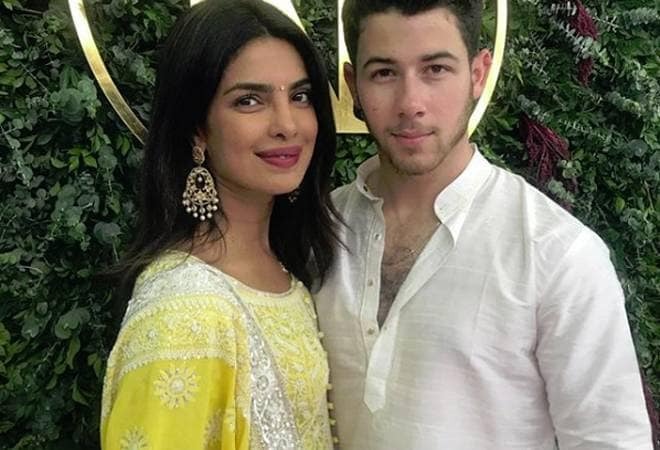 Priyanka Chopra and Nick Jonas have been making headlines since they made their relationship public. As news of their roka emerged over the weekend, speculations about the couple's next big step were only running rife. Chopra, 36 and Jonas, 25, got engaged on August 18 in a traditional roka ceremony in Mumbai. The ceremony was hosted by the Chopras at their residence that was followed by a party. The Ambanis, Parineeti Chopra, Alia Bhatt attended the event. Priyanka Chopra and Nick Jonas met last year during the Met Gala as they both walked for Ralph Lauren. Not only in their personal lives, both Chopra and Jonas have aced in their professional lives as well. From being crowned Miss World in 2000 to becoming one of the most popular Indian faces globally, Priyanka Chopra's career graph is a steadily and consistently rising one. In 2017, Priyanka Chopra was named one of the most powerful women in the world. That report estimated her yearly earnings at $10 million or Rs 64 crore between June 1, 2016 to June 1, 2017. A Yahoo! Finance report mentioned that her net worth is an estimated $28 million or Rs 200 crore. A big part of Priyanka Chopra's earnings come from her films. While there have been fewer Bollywood movies in the recent years, Chopra's foray into Hollywood has been met with great success. Not only has she been part of franchisees like Baywatch, she has also been part of other movies like A Boy Like Jake and upcoming movie, Isn't It Romantic, starring Liam Hemsworth, Rebel Wilson and Adam DeVine. She was also part of ABC's Quantico that ran for three seasons before it was cancelled by the network. Chopra owns a film production company called Purple Pebble Pictures. Priyanka Chopra is also known for her career in music. Her singles 'In My City' featuring Will.i.am and 'Exotic' featuring Pitbull became viral soon after their release. These songs however, became viral mostly because they were trolled and not because they were loved. When it comes to endorsements, Priyanka Chopra is, again, at the top of her game. She is the global ambassador for Pantene and a "global citizen" for GAP. Earlier she had also endorsed brands like TAG Heuer, Pepsi, Nokia, Garnier and more. Chopra was also appointed UNICEF's Goodwill Ambassador in 2016. Nick Jonas, on the other hand, is estimated to have a net worth of $25 million or Rs 171 crore. Jonas' primary chunk of the moolah comes from his career as a singer. Before becoming part of the band, Jonas Brothers, Nick Jonas had released his own album. After joining Kevin and Joe, the trio became immensely popular for their upbeat songs. They broke up in 2013 following which Nick Jonas returned to his solo career. Jonas has also been part of movies including Jumanji, and a host of television series and reality shows.